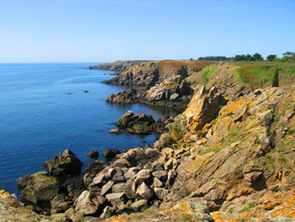 Vendée Gites. 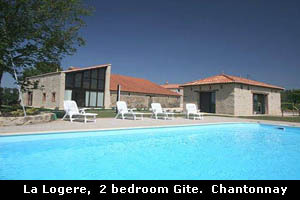 A gite is by definition any property (normally rural) that is offered as self catering holiday accommodation. It can be anything from a cottage to a windmill, a château to a farmhouse, it could even be a boat. They may be stand alone, be attached to an owner’s residence, or be on a Complex with shared facilities. 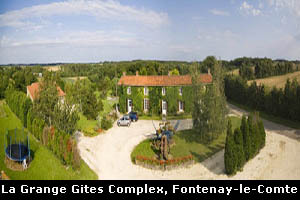 Our pages on Gites contain all of the various types mentioned. There are adverts by owners so that you can deal direct and adverts by agencies that specialise in putting a holiday package together for you. 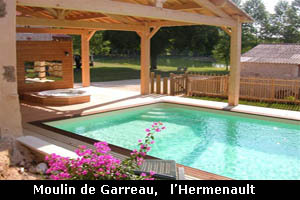 In fact The Guide has everything that you need for this type of Holiday. Hotels. 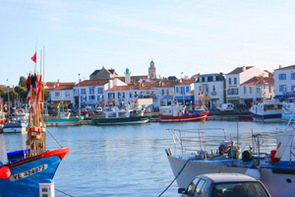 If you prefer to stay in a hotel our page on Hotels in the Vendée will allow you to search the various hotels to get the best deals and book online. 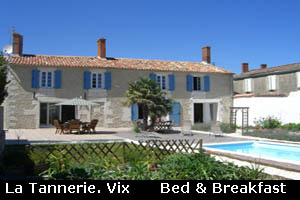 Bed & Breakfast (Chambre d'Hote) Whether for a night or two, or for a longer stay our list of Bed & Breakfast in the Vendée will help you choose the best one to suit your needs. 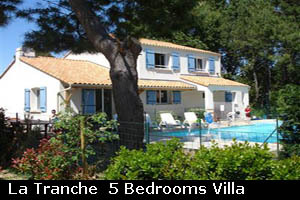 Campsites If it is just a pitch that you require or if you want to rent the complete camping package, either in a tent or a caravan, our section on Camping in the Vendée will help you discover the amazing range of sites that are available. Cottage Holidays. 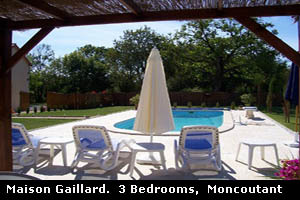 Cottage holidays offer a cost-effective solution to self-catering holiday accommodation in the Vendée. 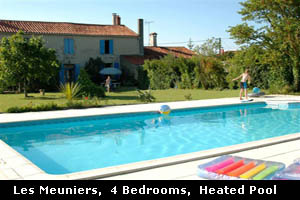 The cottages range in size from one bedroom to 8 bedrooms and they vary in the facilities that they offer. 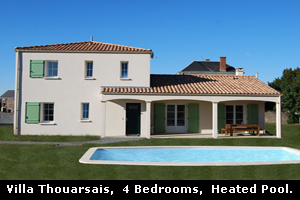 Our section on holiday cottages in the Vendée will allow you to compare a selection of what is on offer.